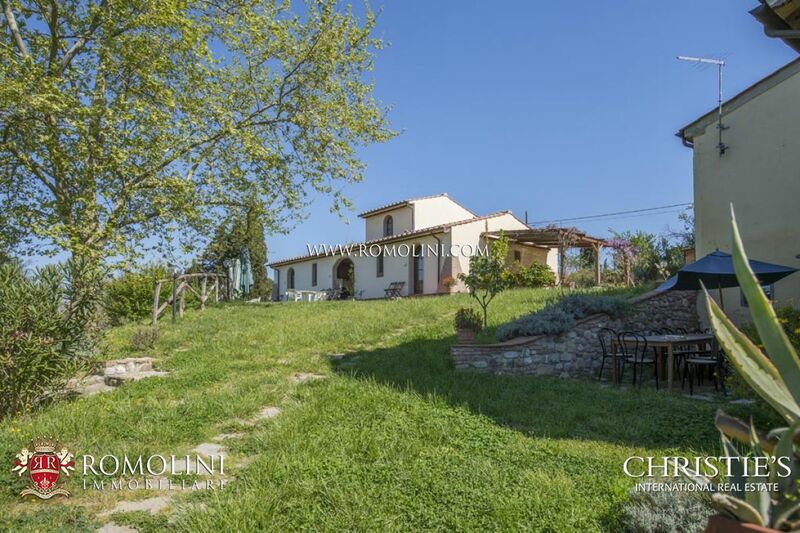 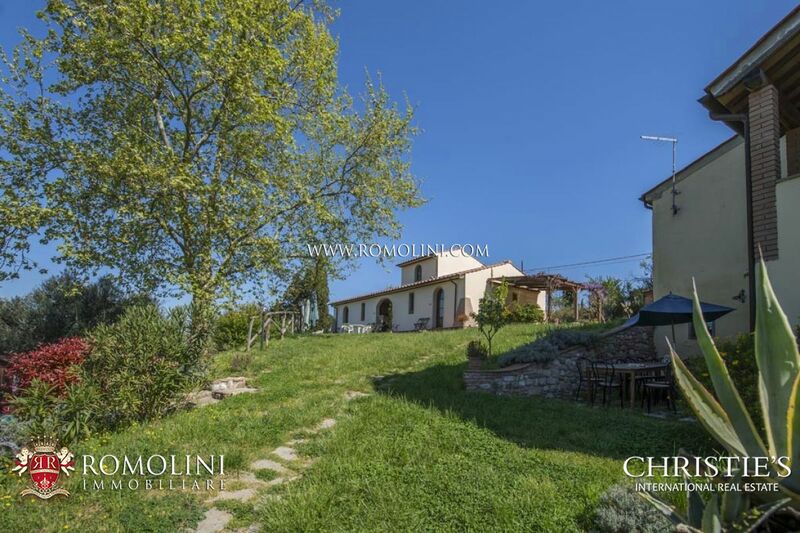 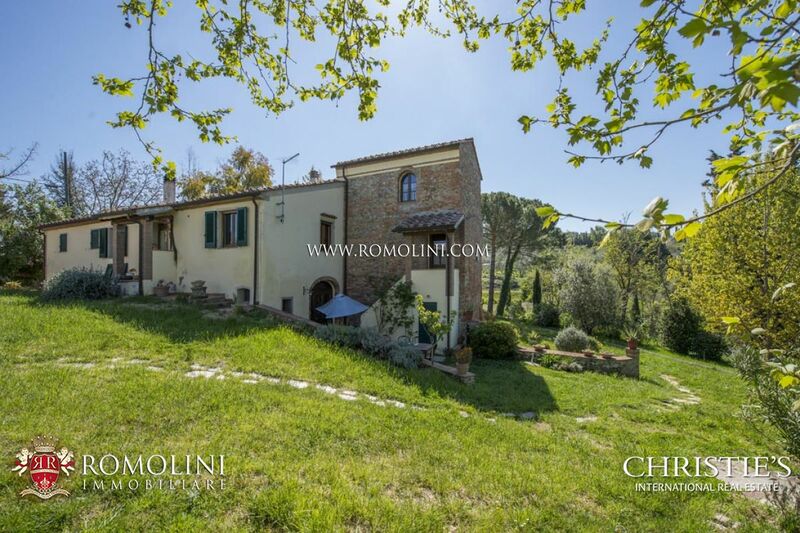 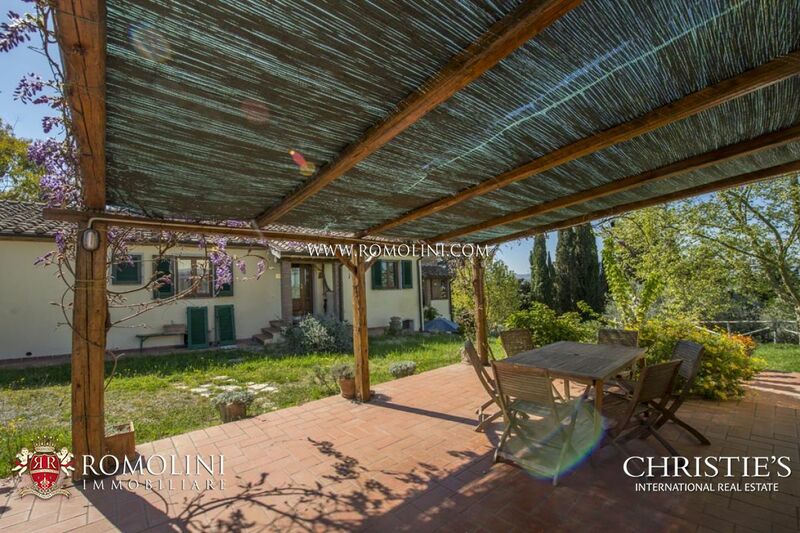 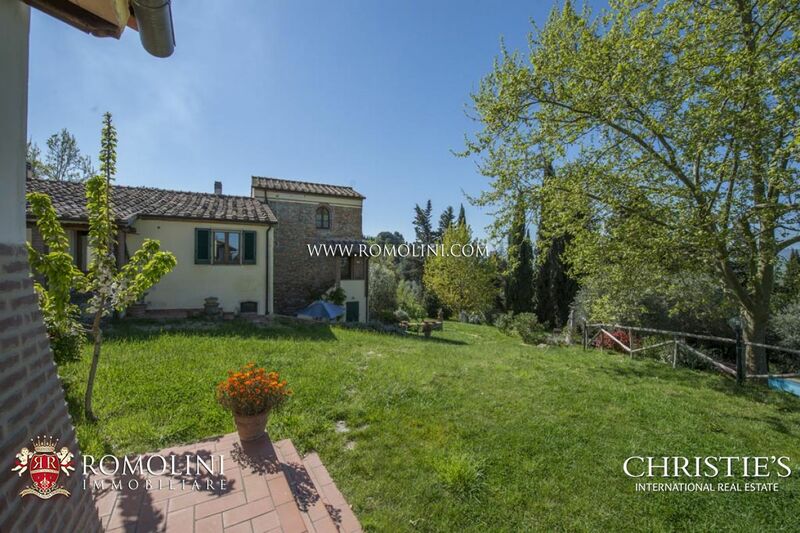 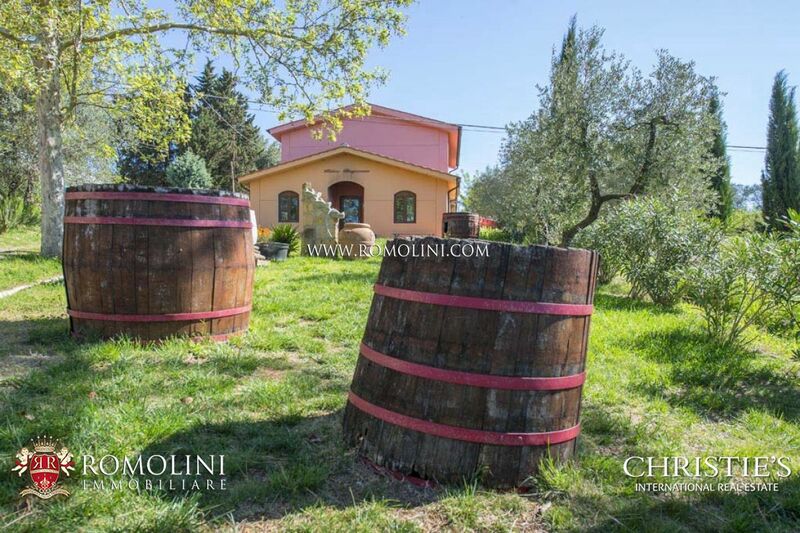 Organic and biodynamic farm with Agriturismo and Restaurant for sale in Tuscany. 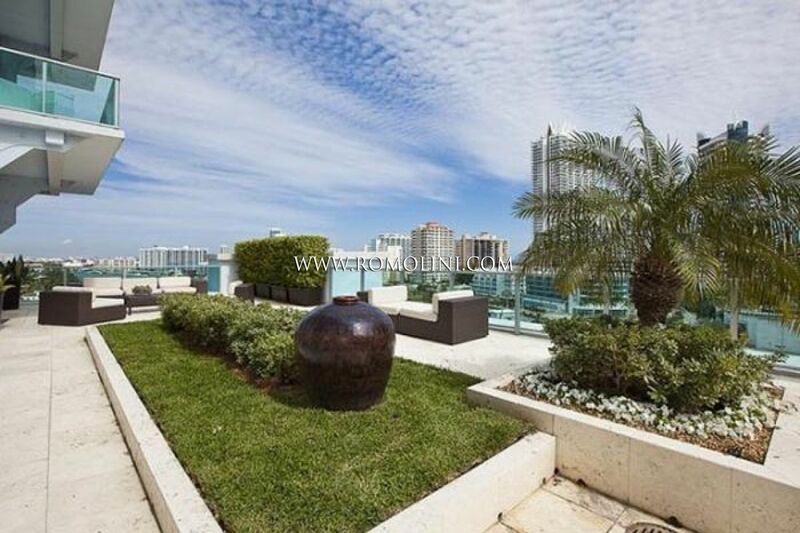 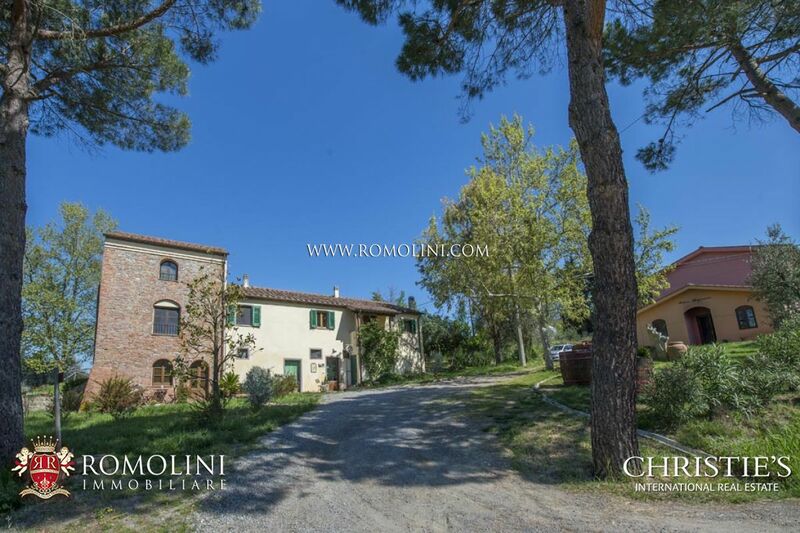 The property is located in an easily accessible area, reserved but not isolated, only 2 km away from the nearest village with shops, restaurants and schools. 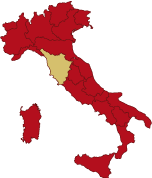 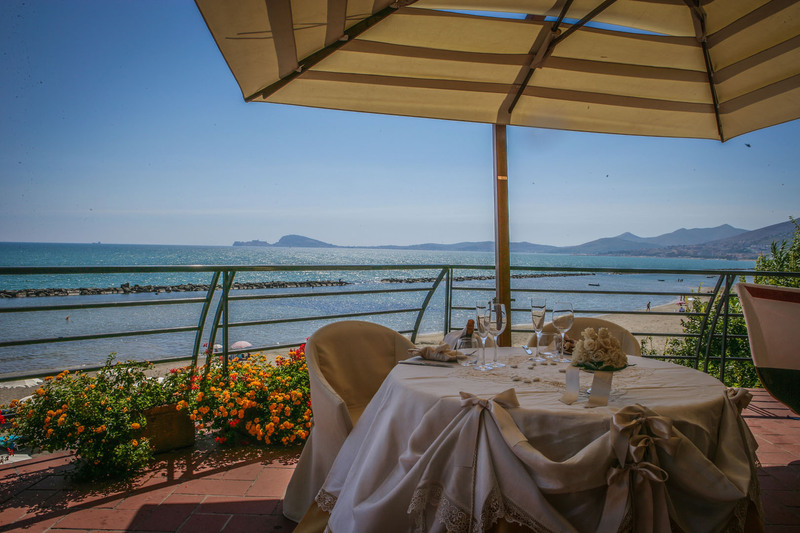 Surrounded by the green hills of Tuscany, it is only half an hour drive from Volterra, charming hilltop town of Etruscan origins, and about one hour drive from the Tuscan coast, with Castiglioncello, Forte dei Marmi and Viareggio. 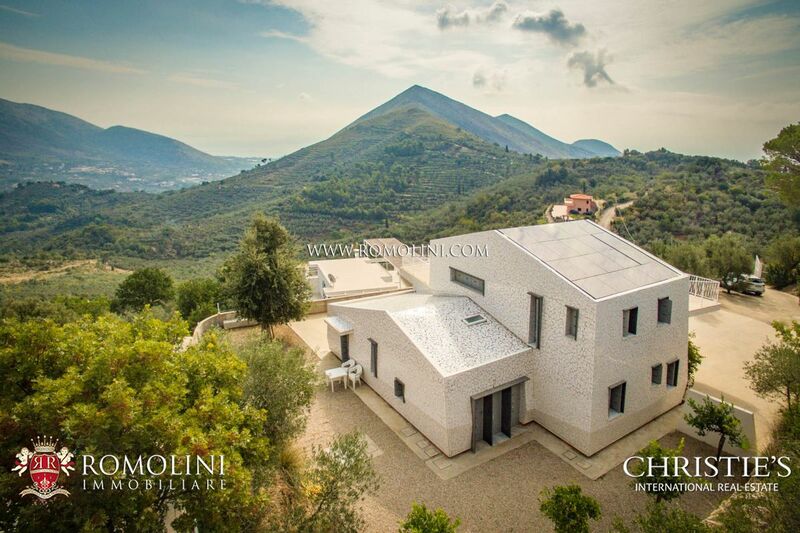 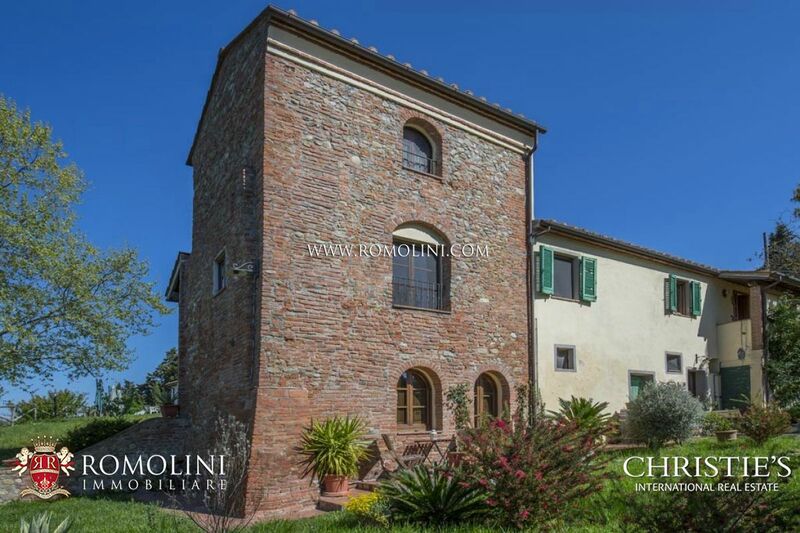 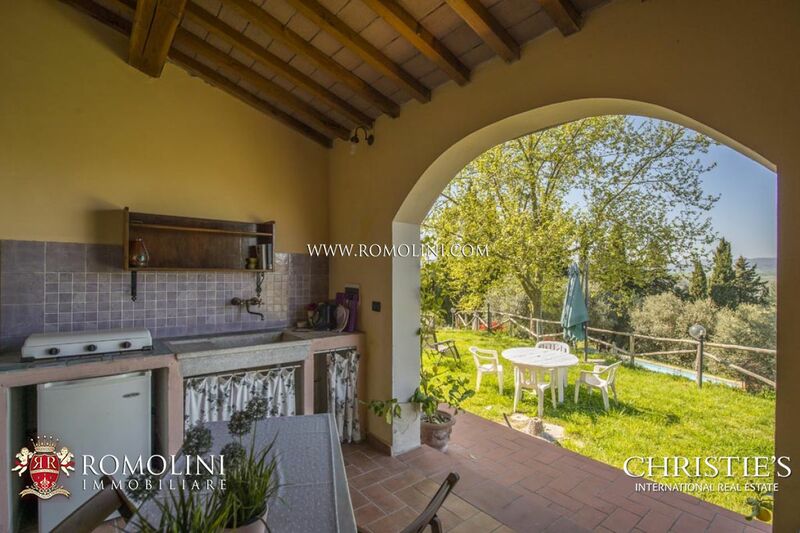 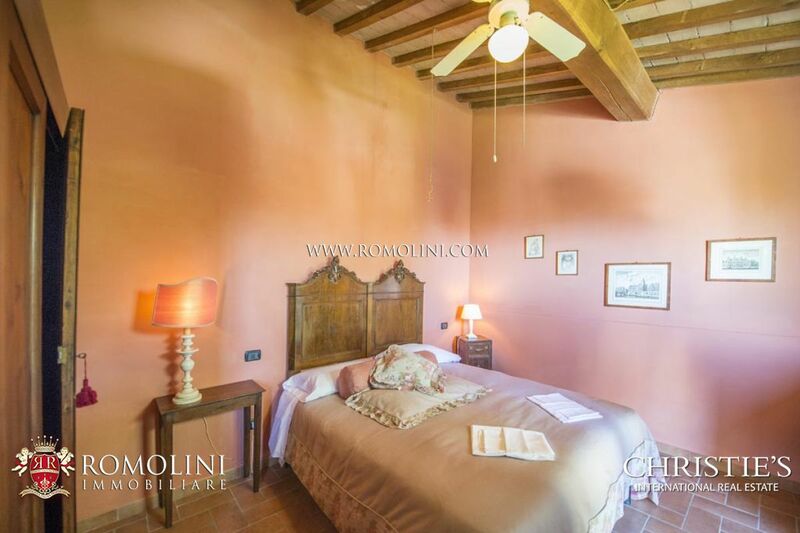 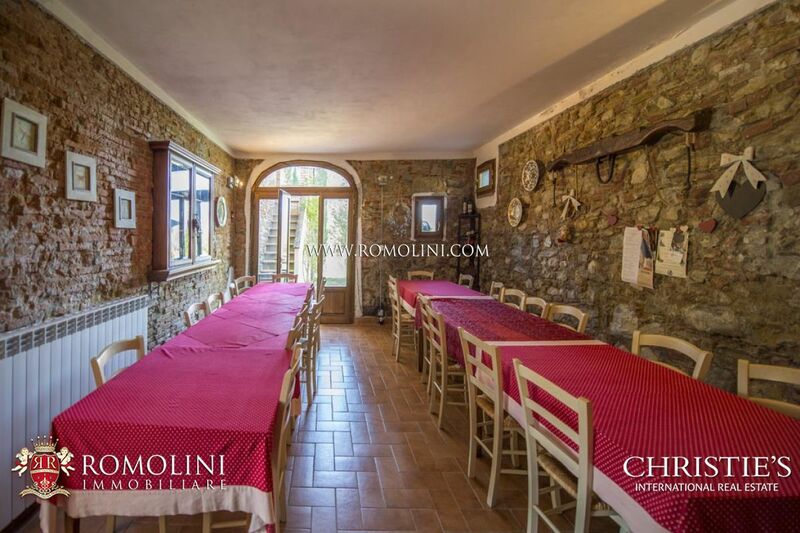 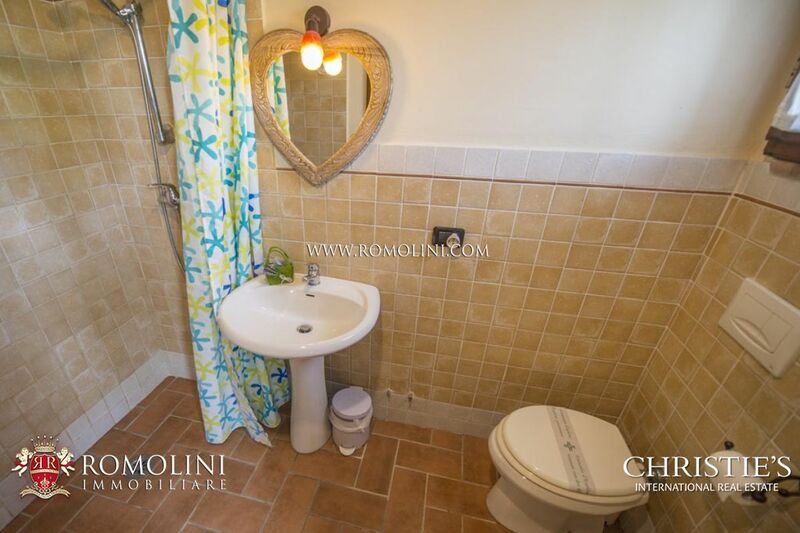 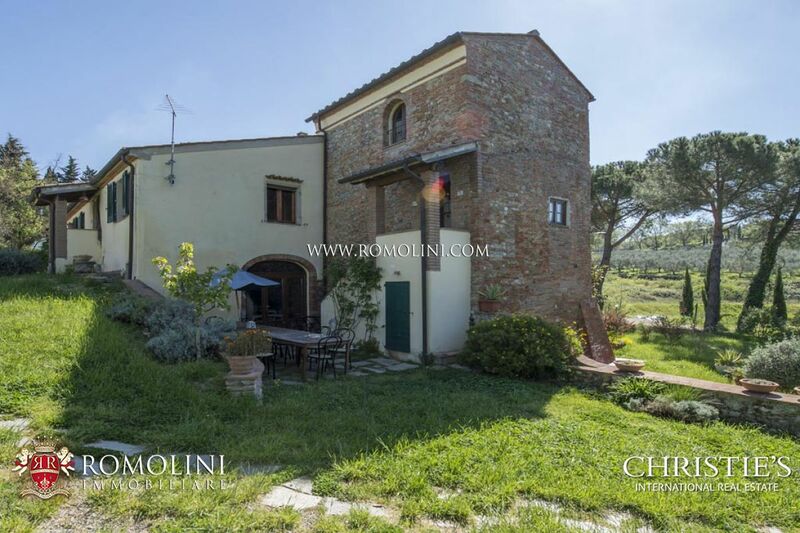 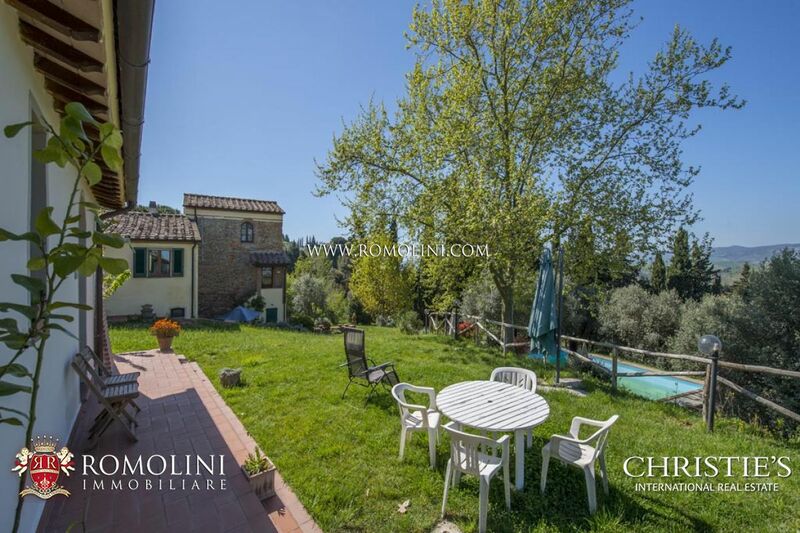 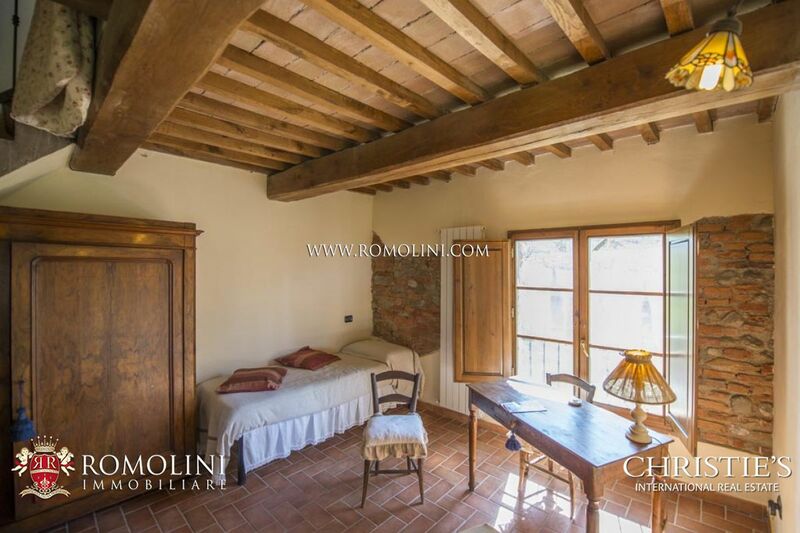 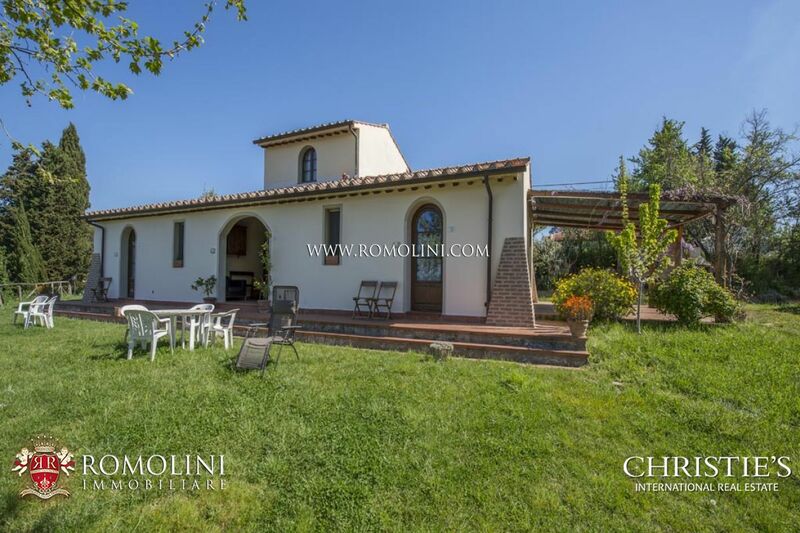 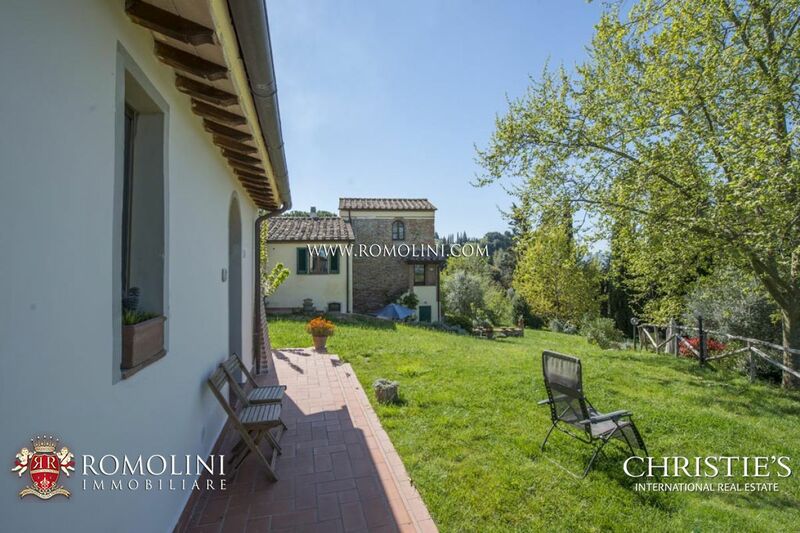 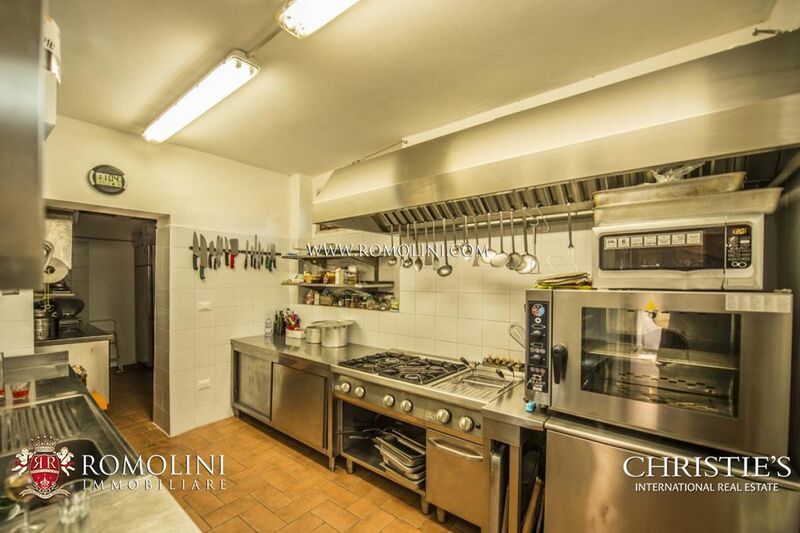 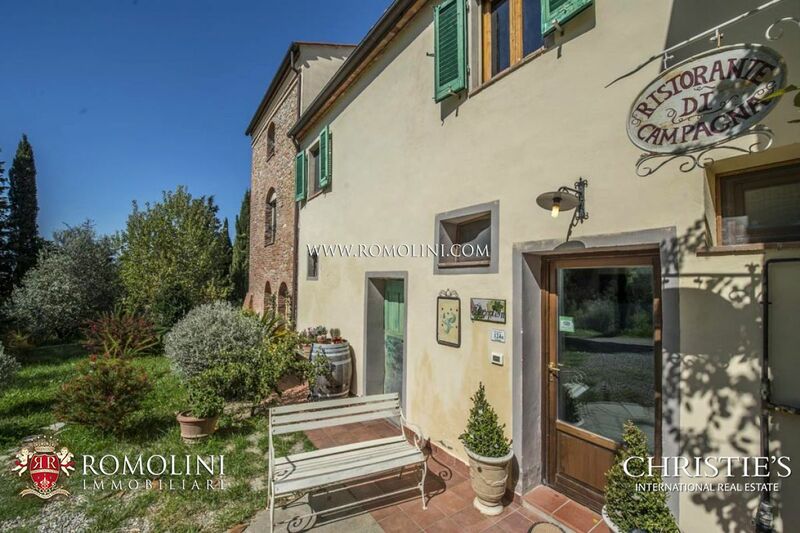 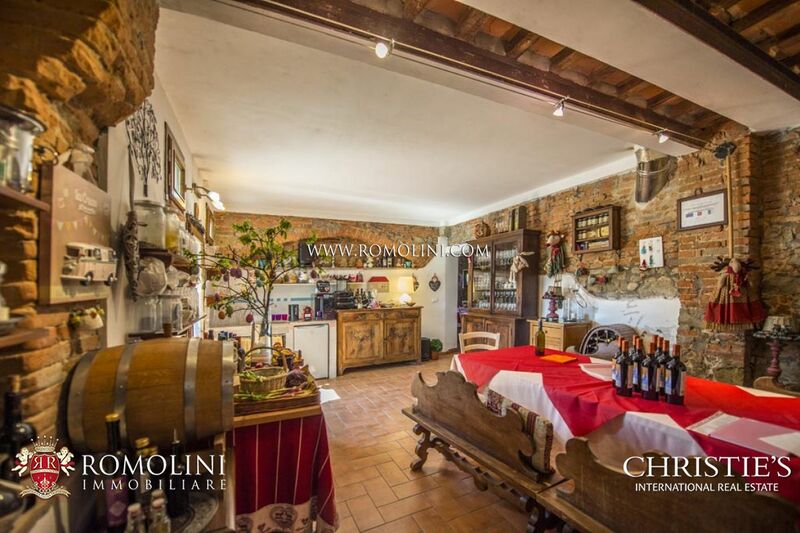 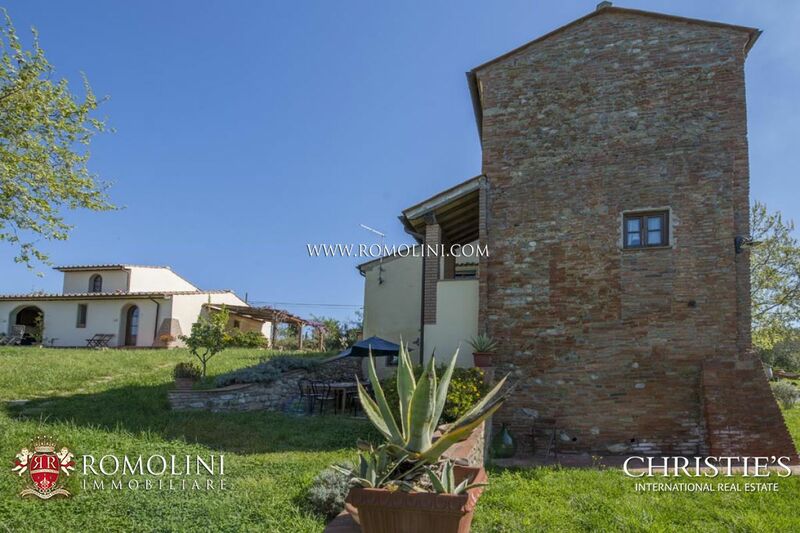 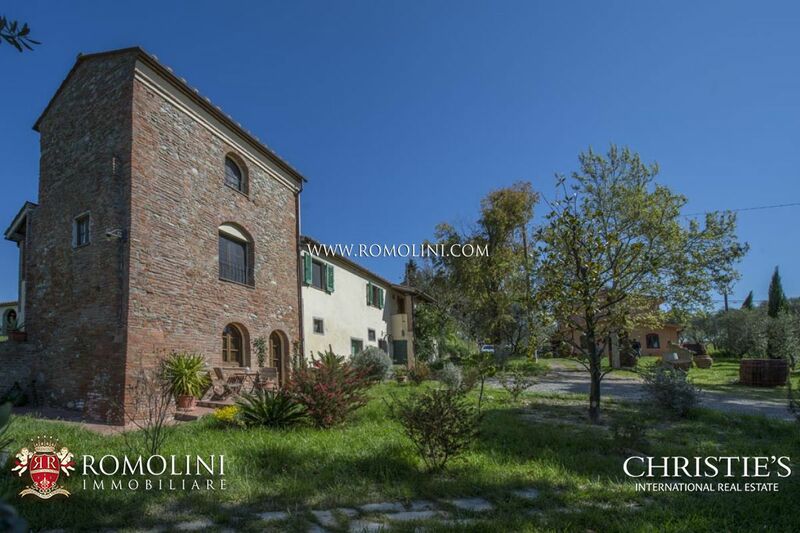 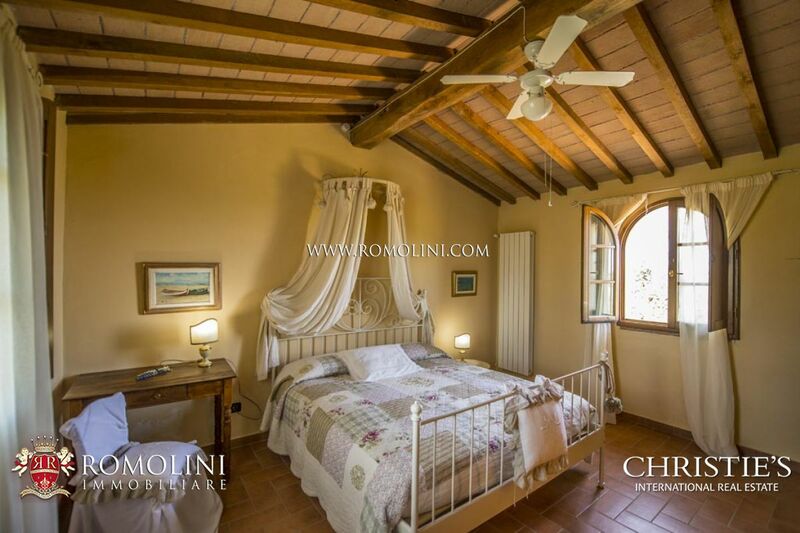 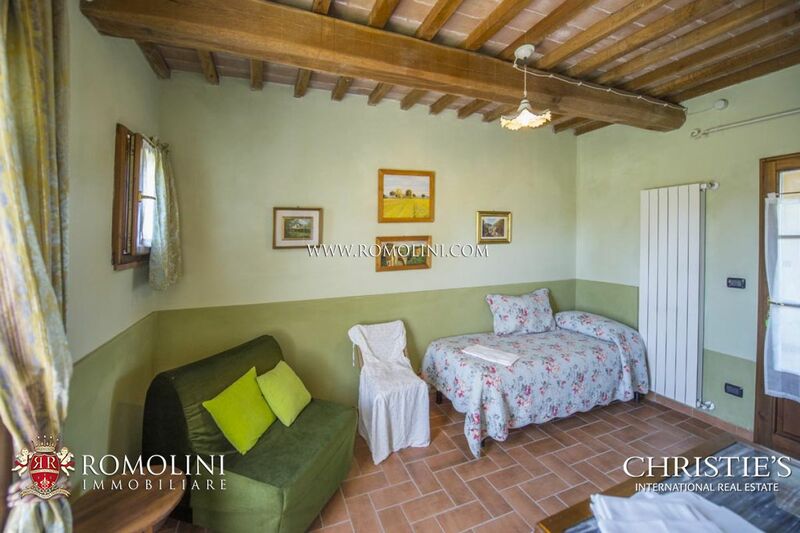 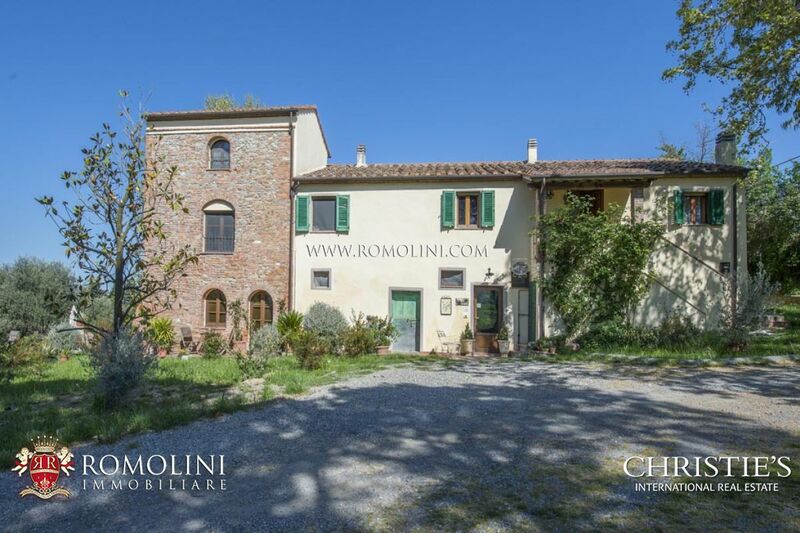 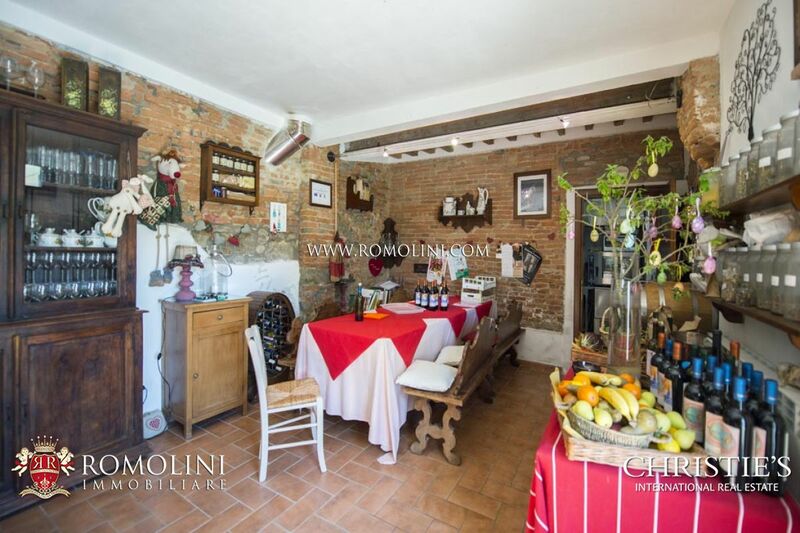 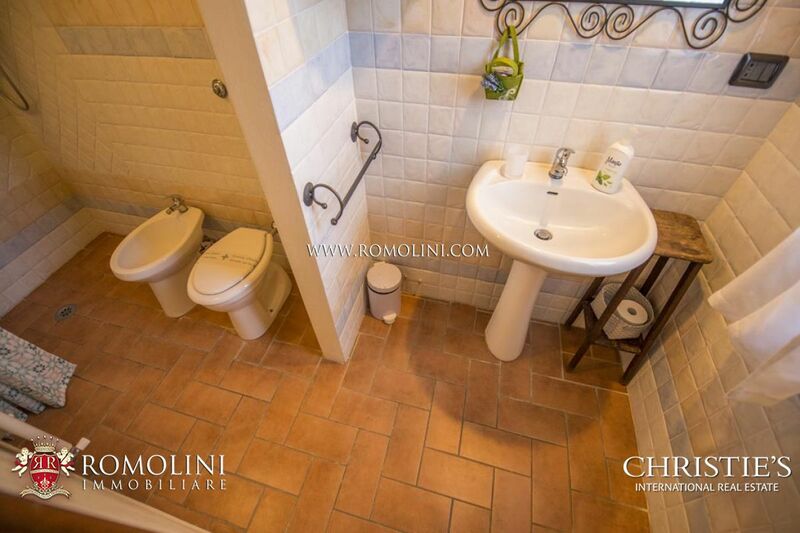 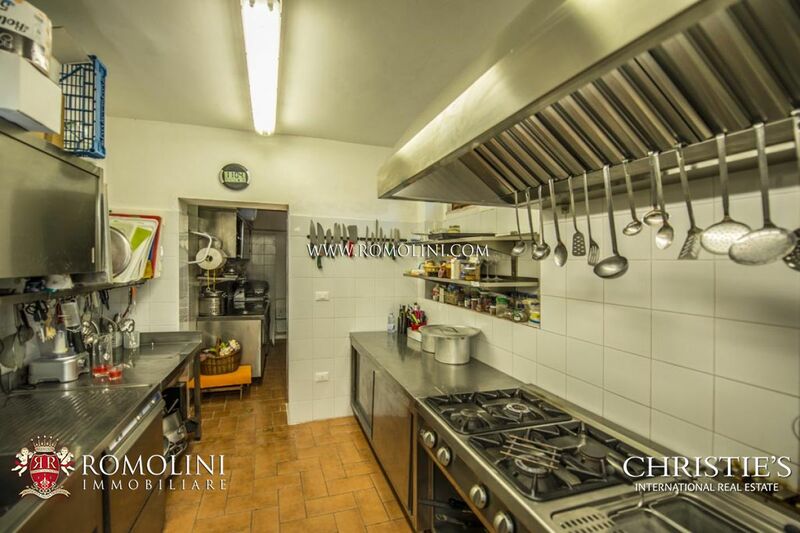 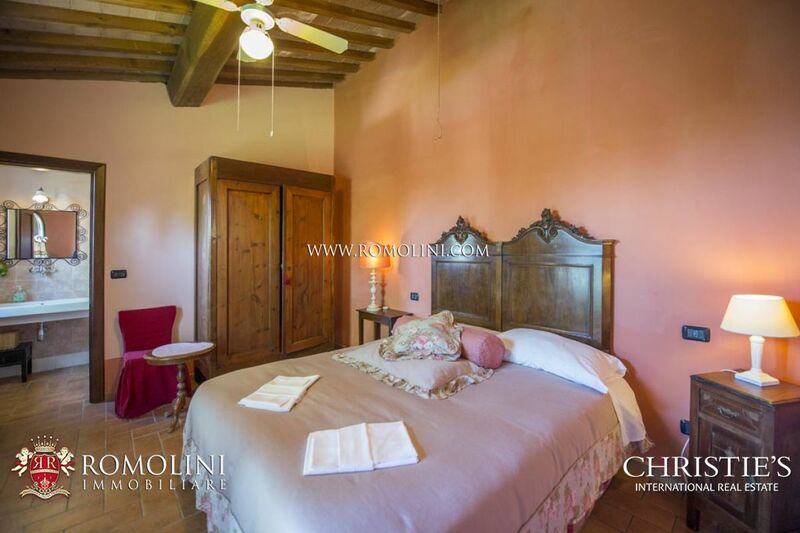 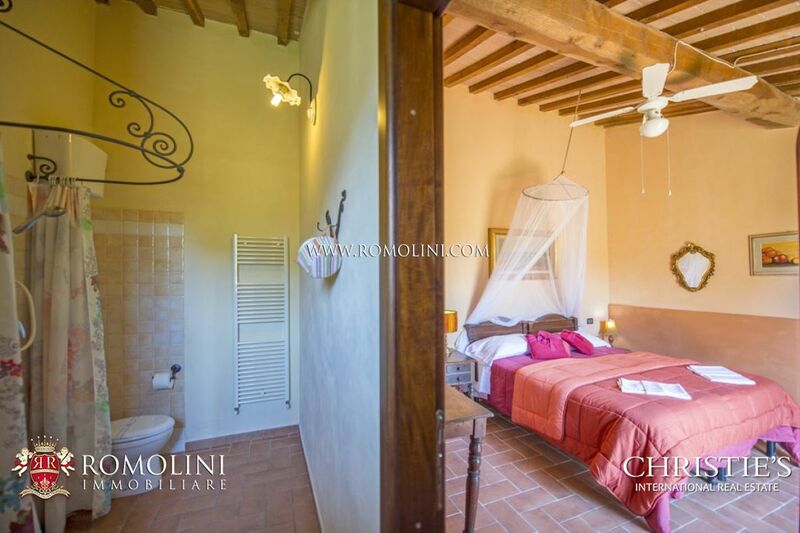 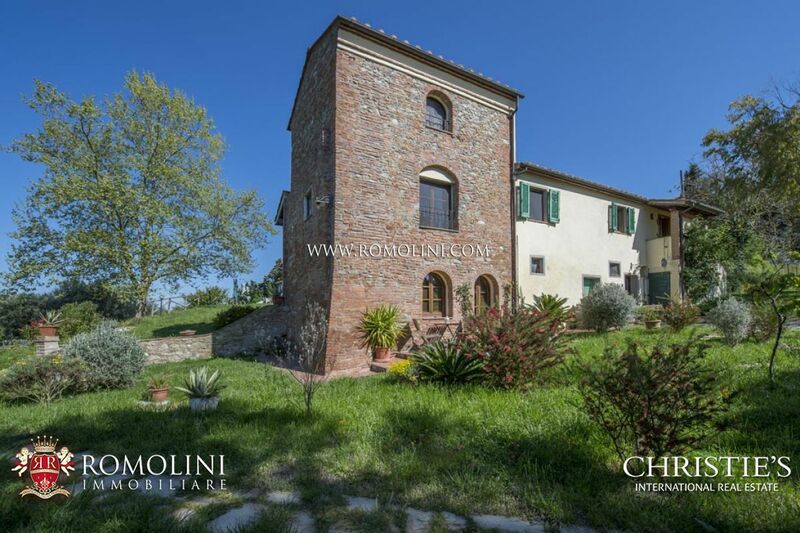 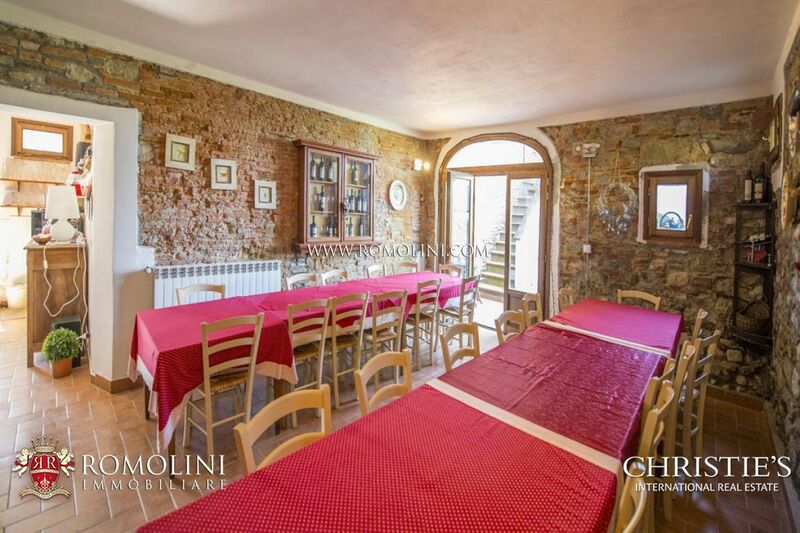 The main farmhouse (290 sqm) is arranged over three floors and hosts on the ground floor a 50-seat restaurant, a professional kitchen and restrooms. 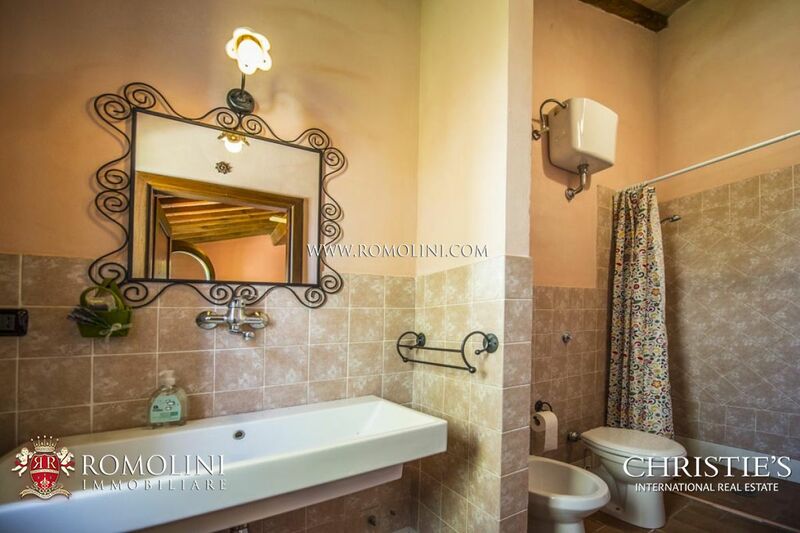 On the first floor there is an independent apartment of 130 square meters, hosting a reception room, a sitting room, a living with kitchen, three bedrooms and two bathrooms. 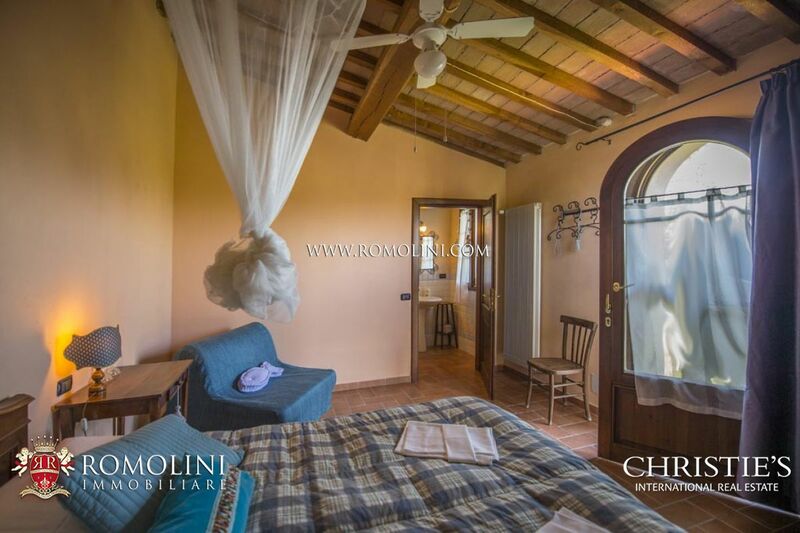 The country house (170 sqm) hosts four independent bedrooms, each with en suite bathroom, and a two-story apartment with kitchenette, two bedrooms and bathroom. 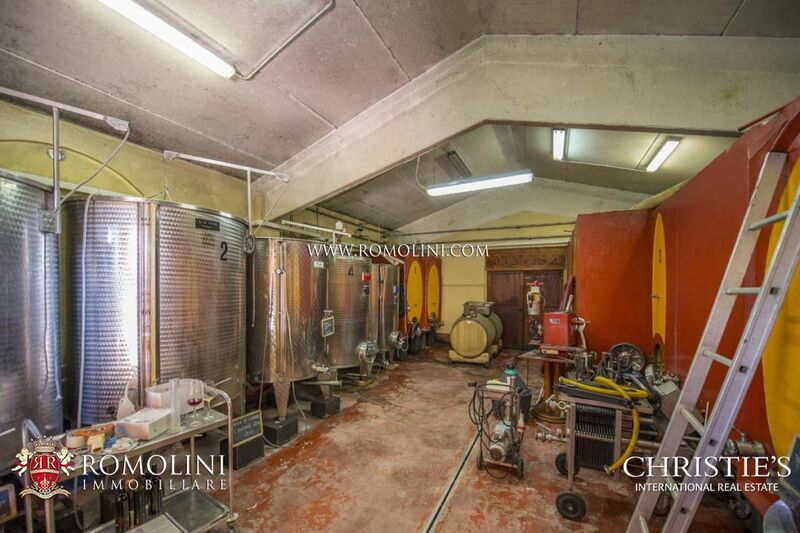 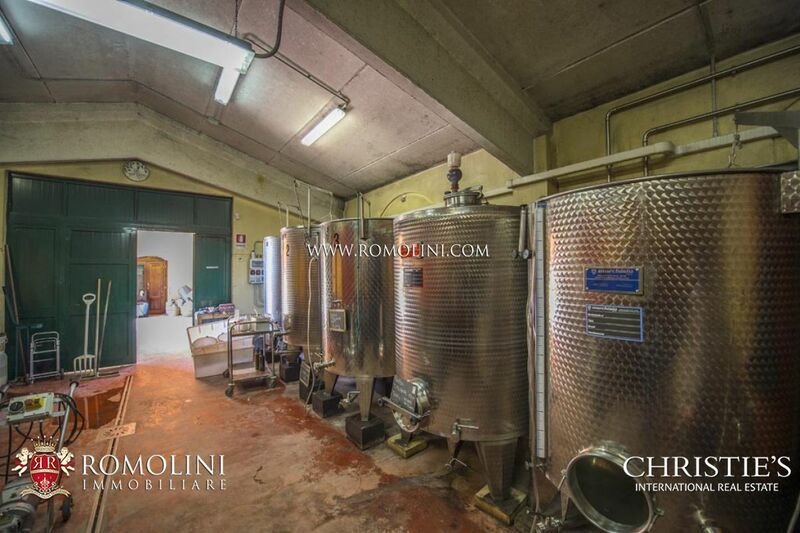 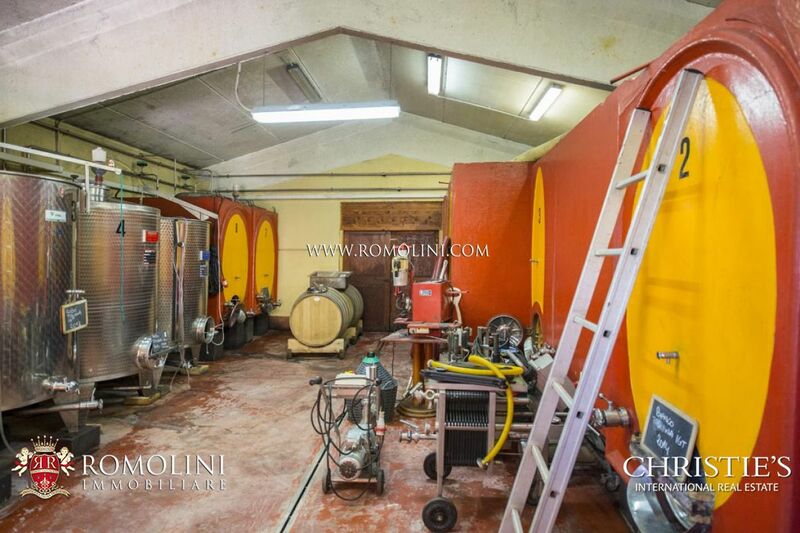 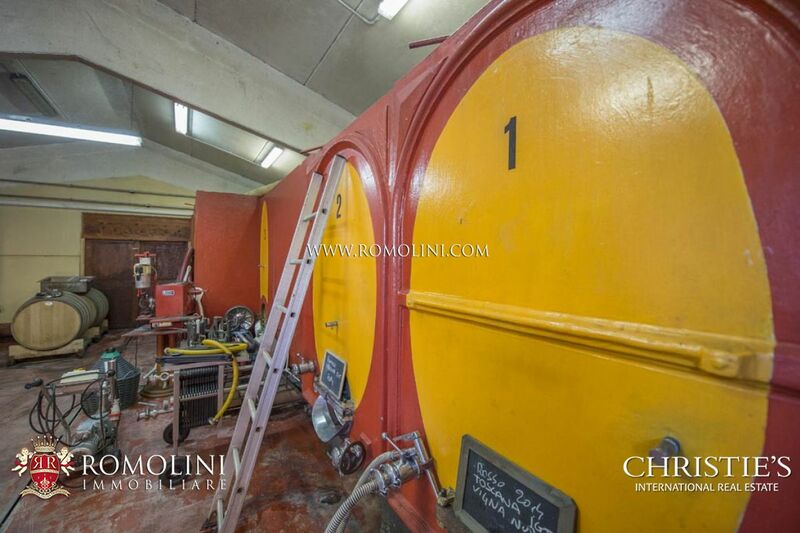 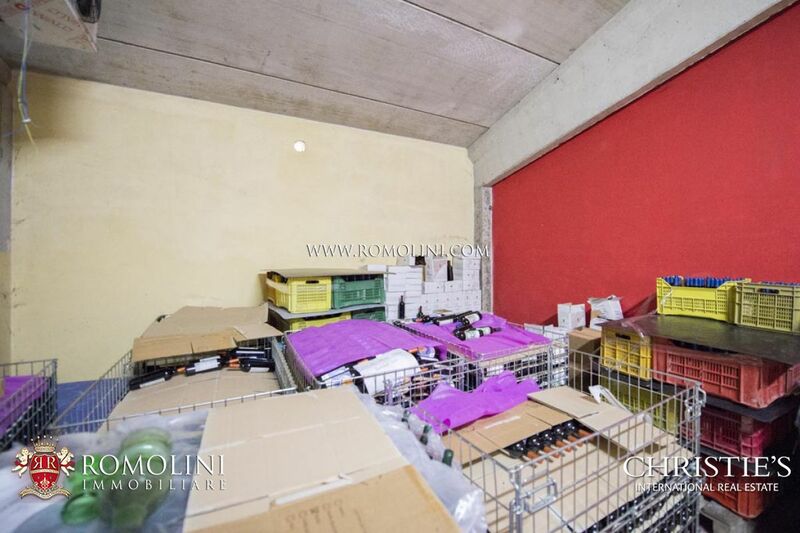 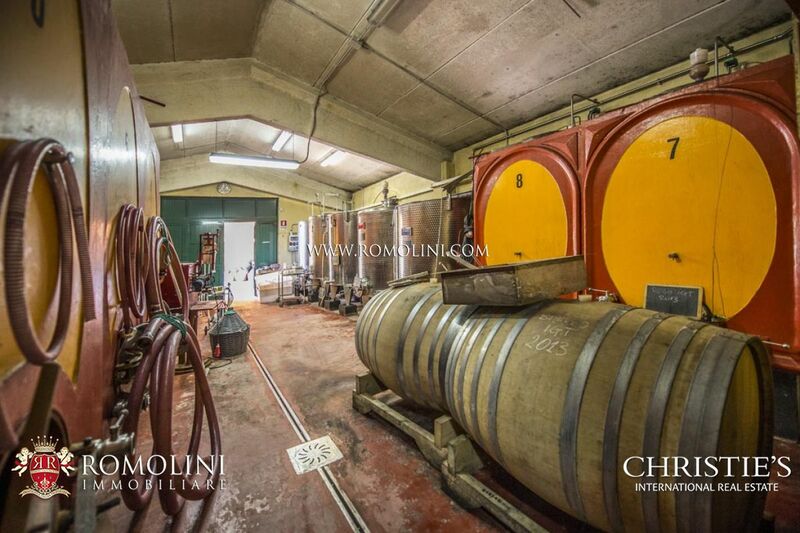 The wine making cellar (250 sqm) hosts vinification and bottling areas. 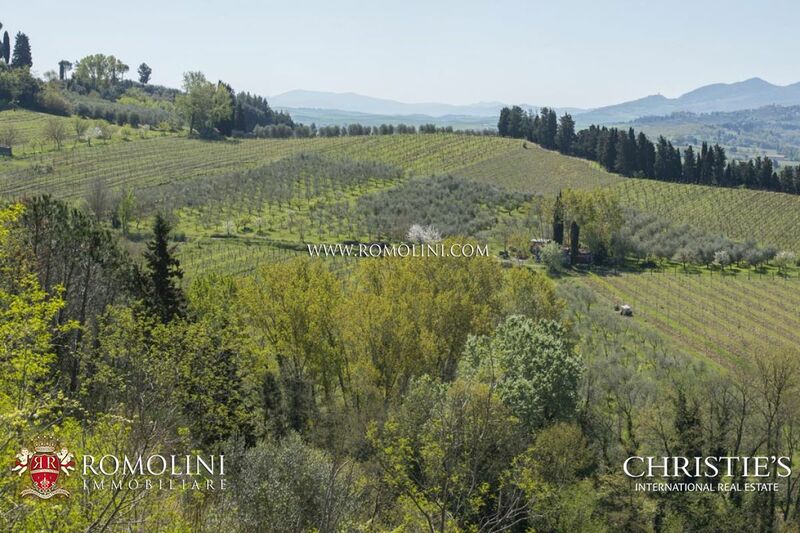 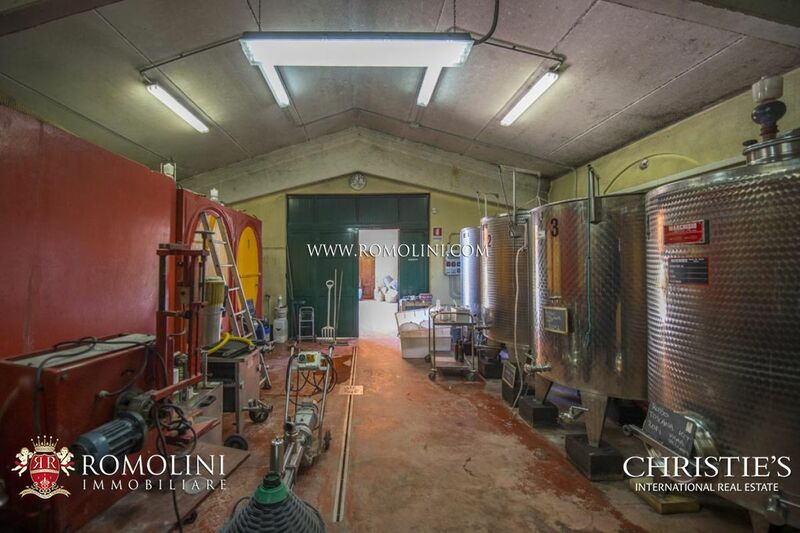 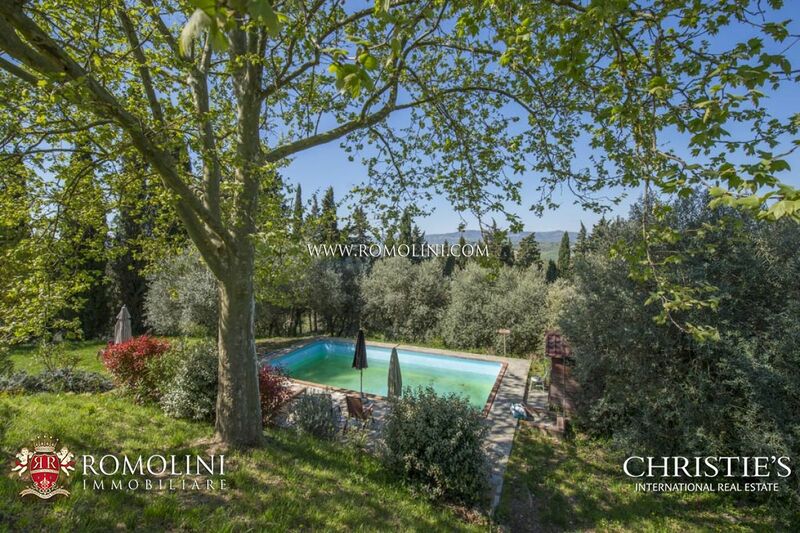 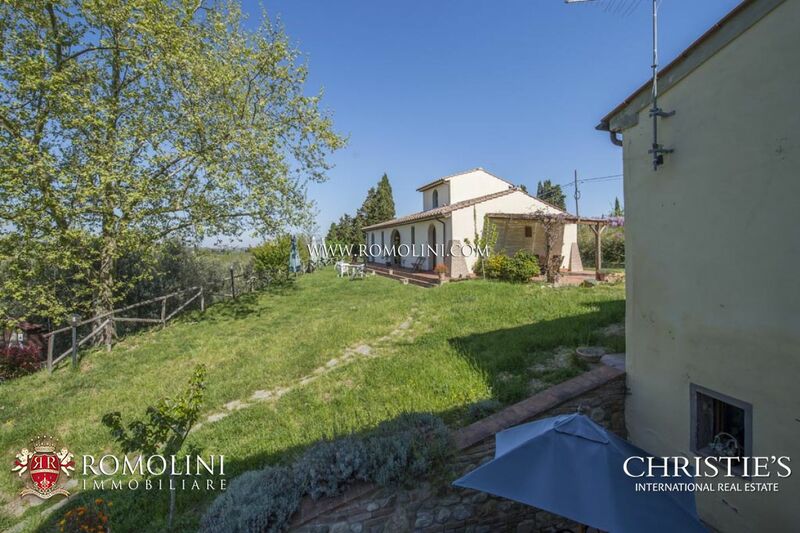 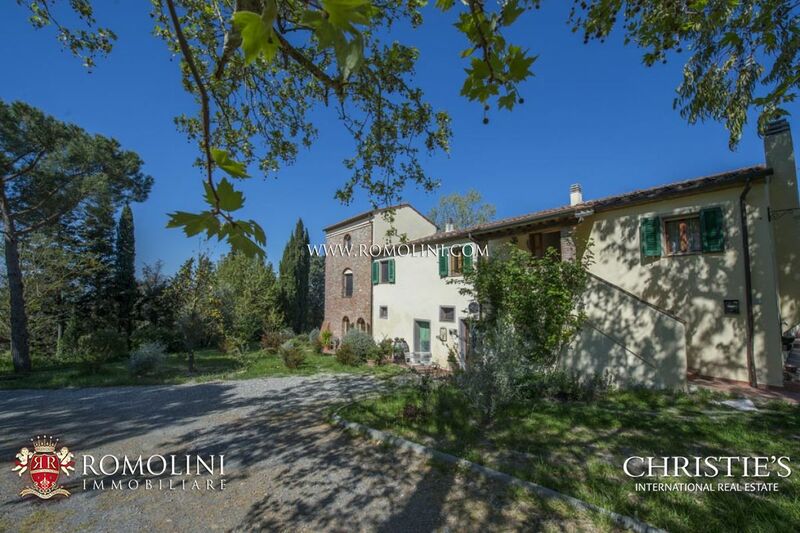 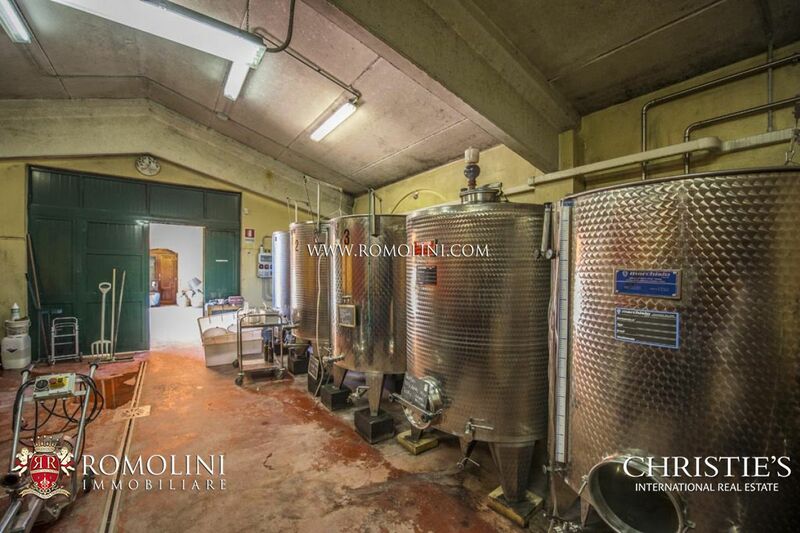 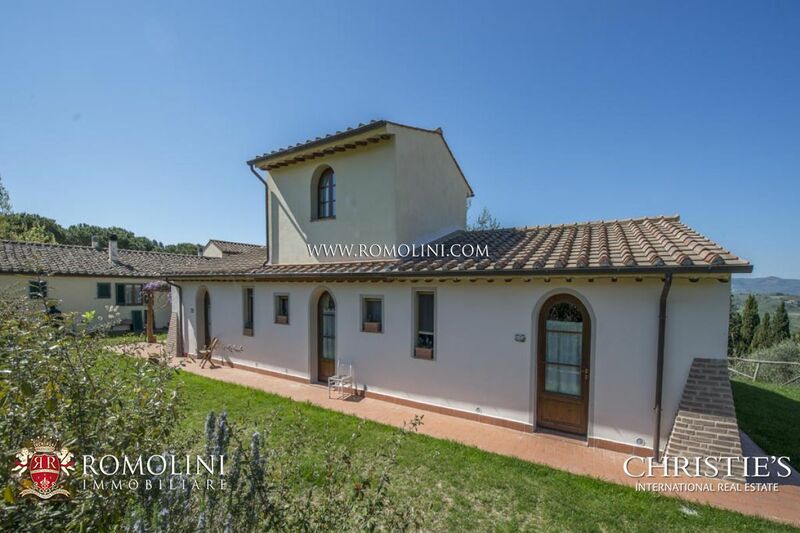 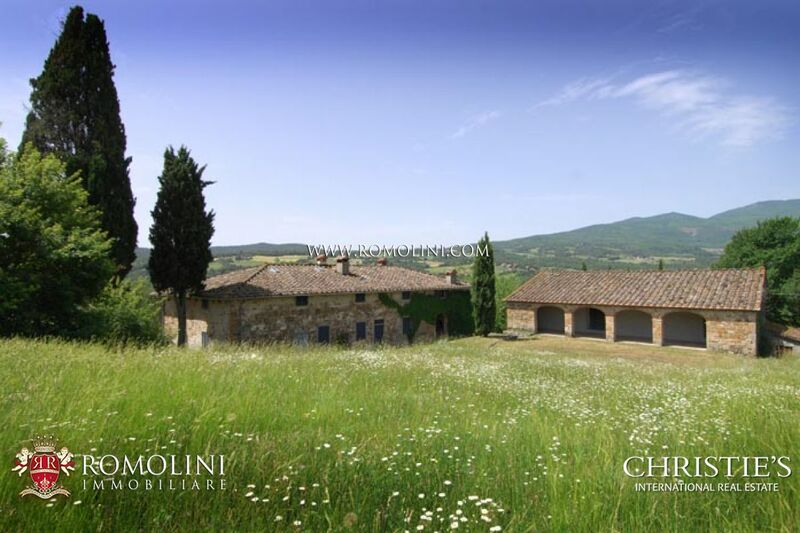 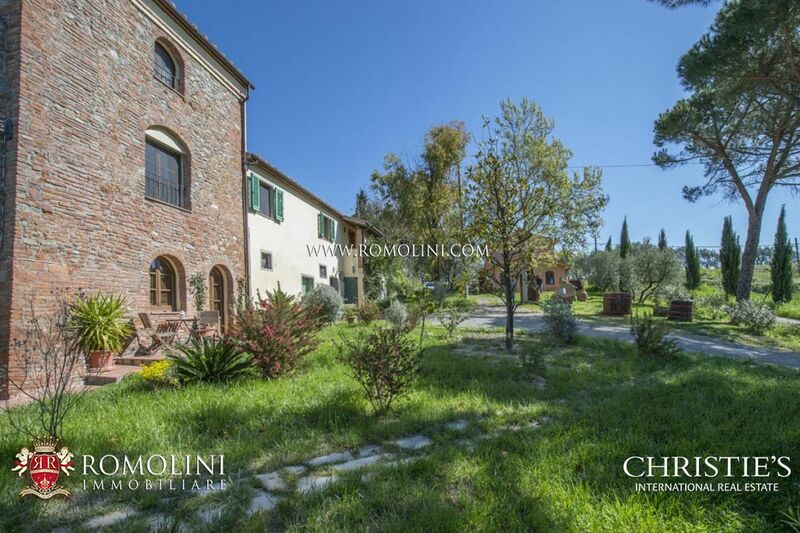 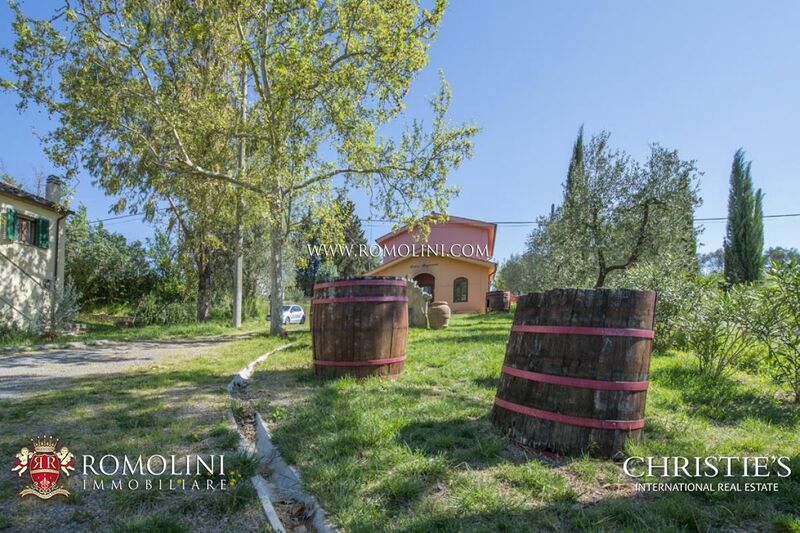 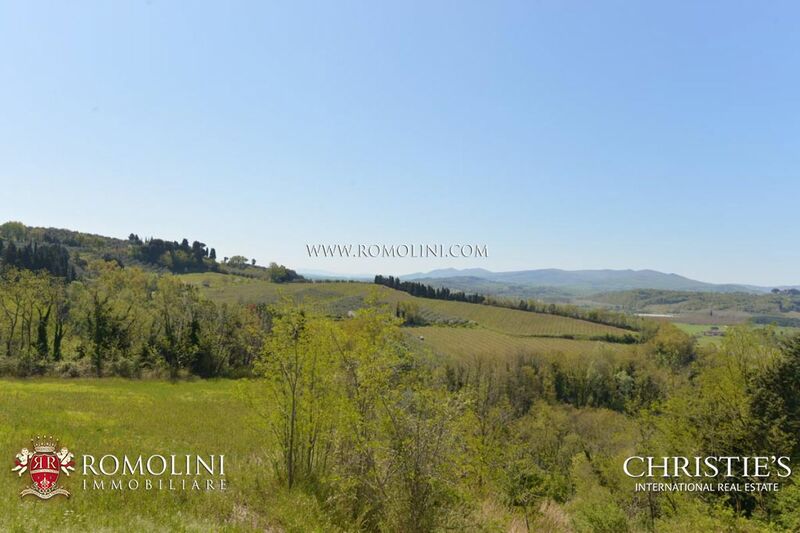 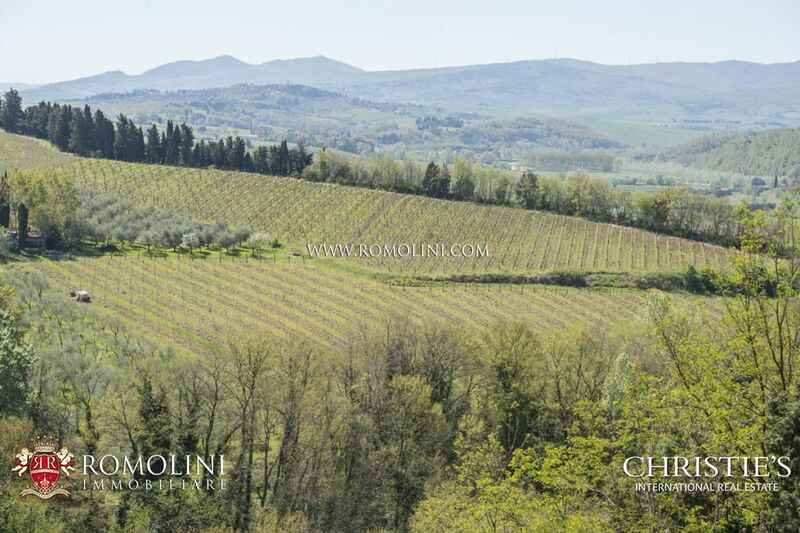 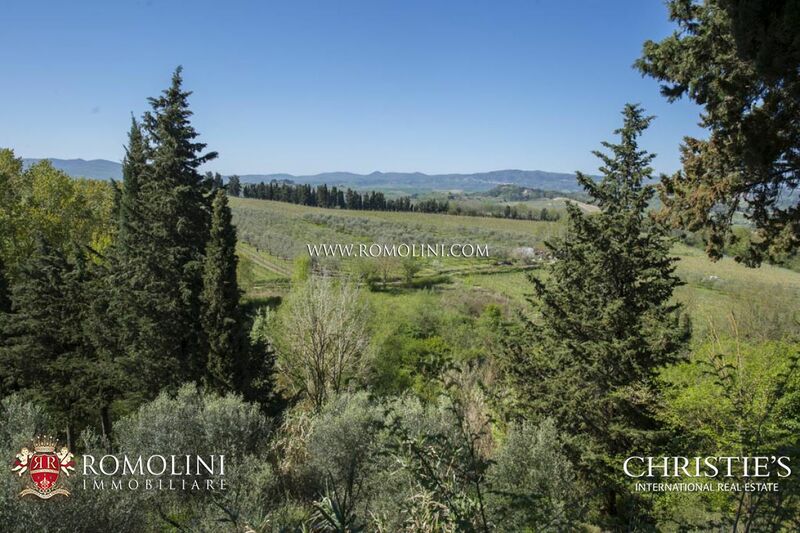 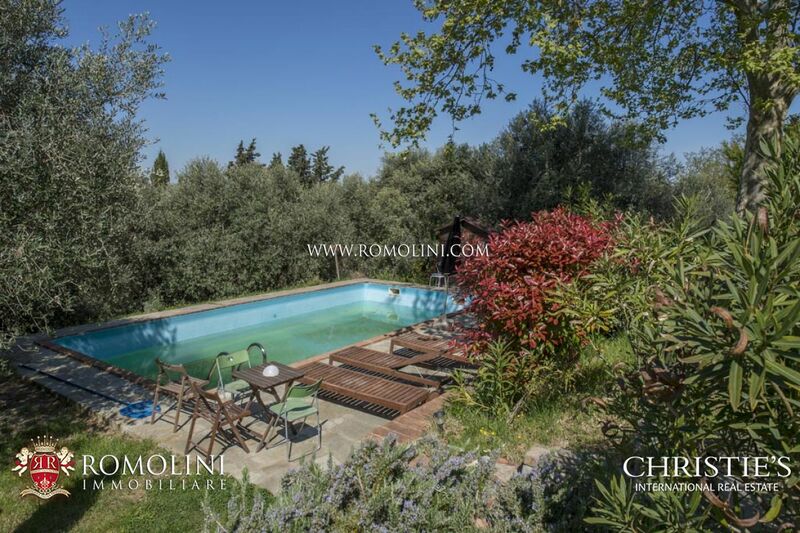 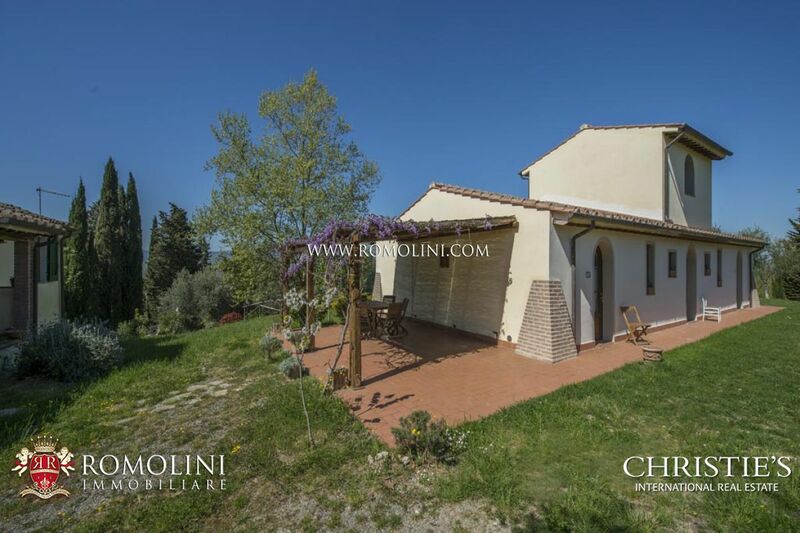 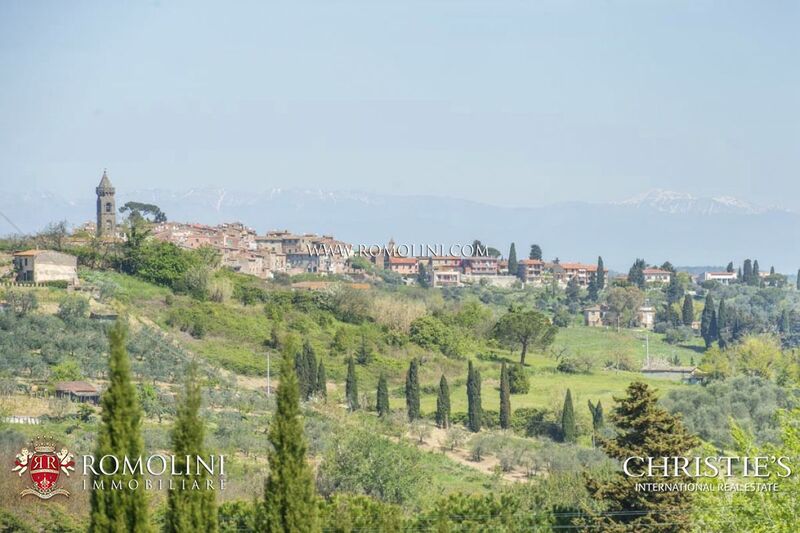 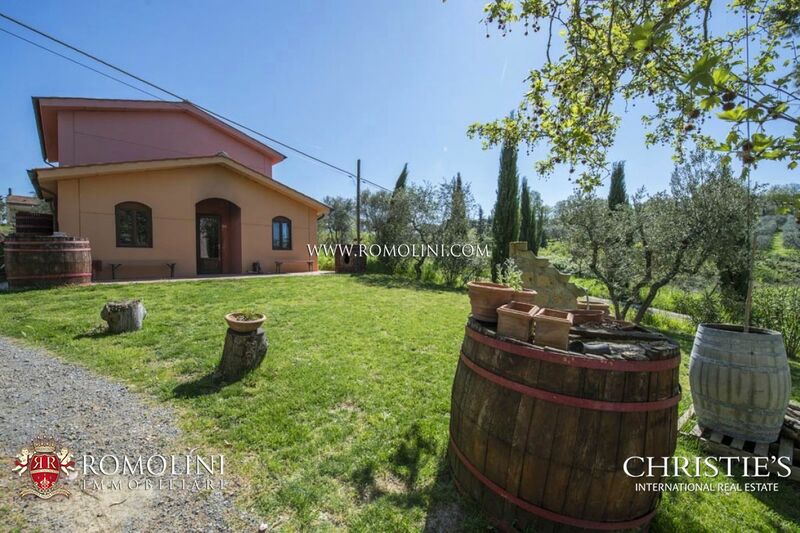 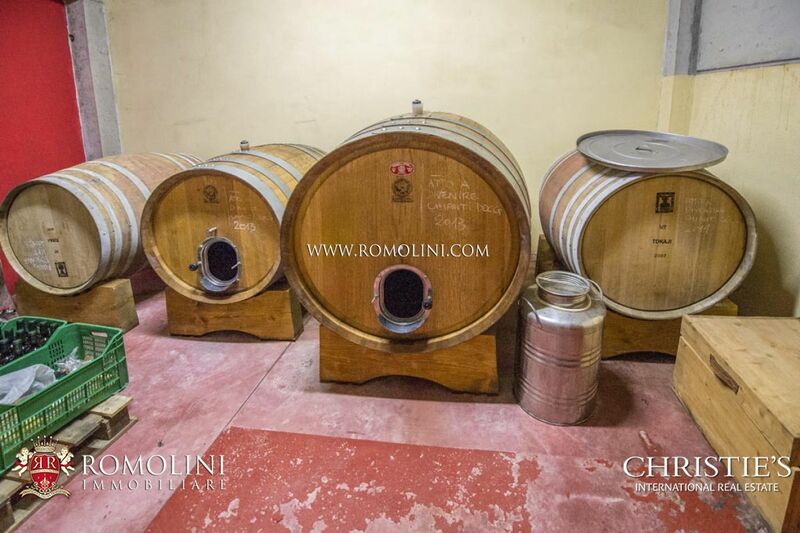 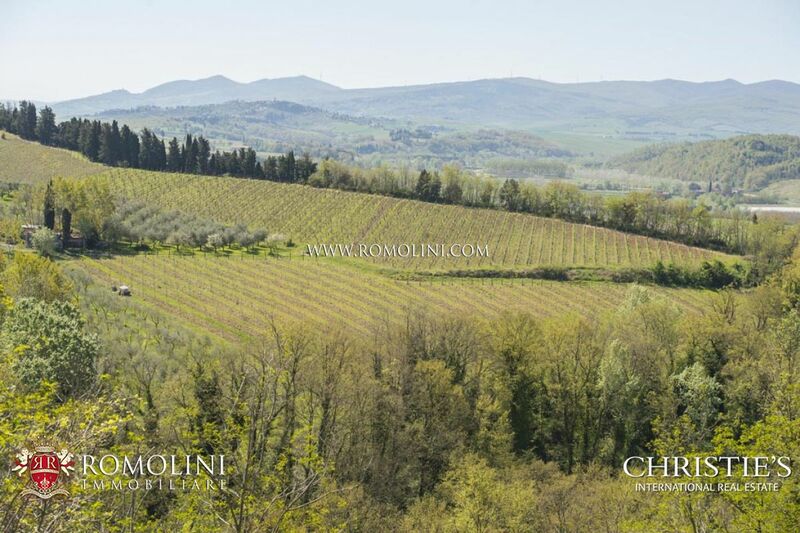 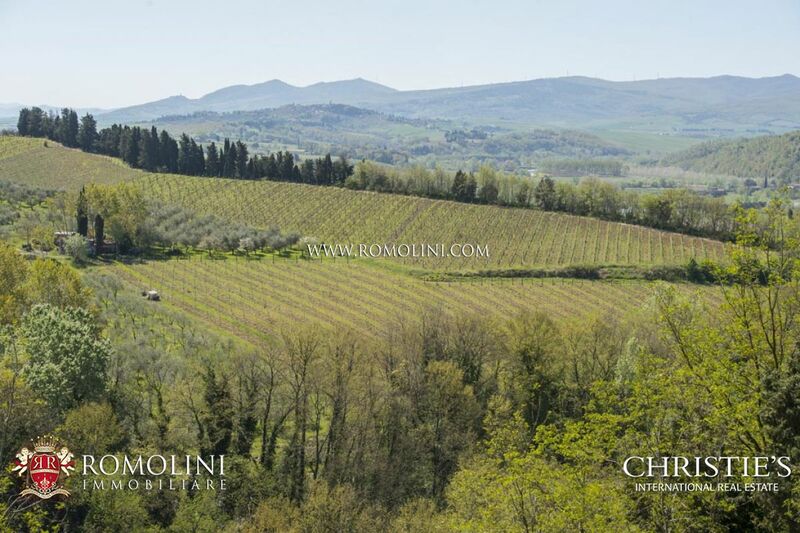 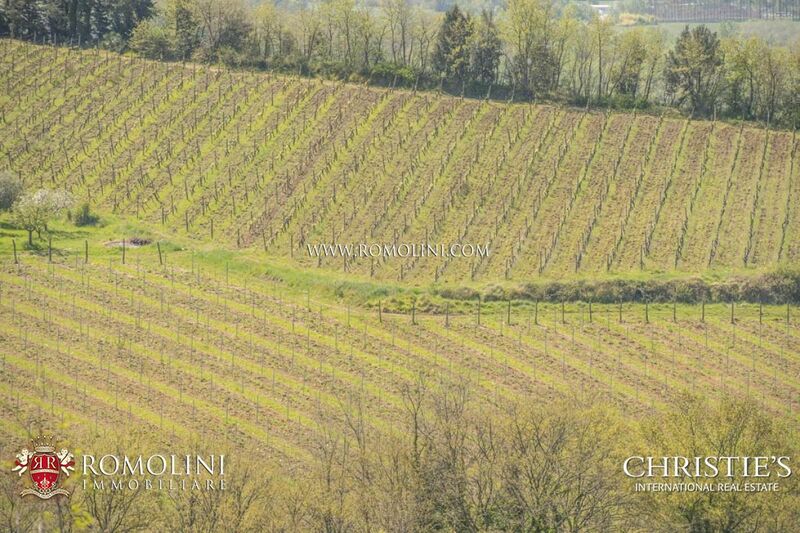 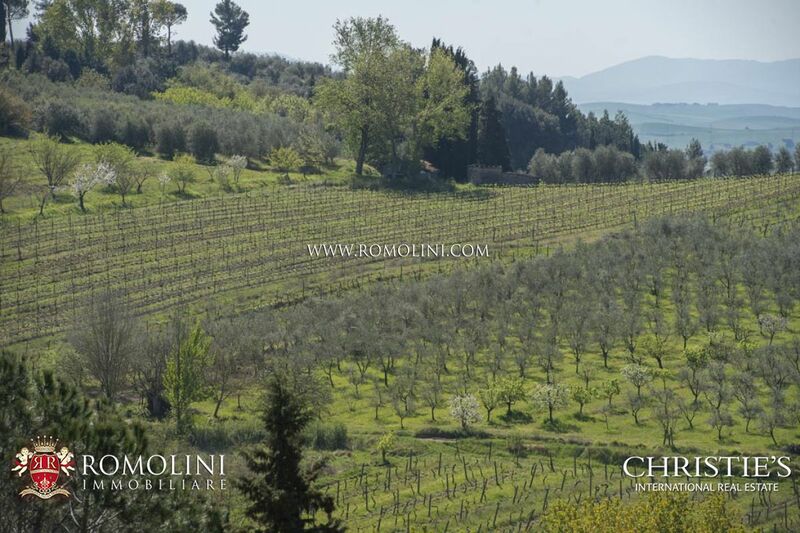 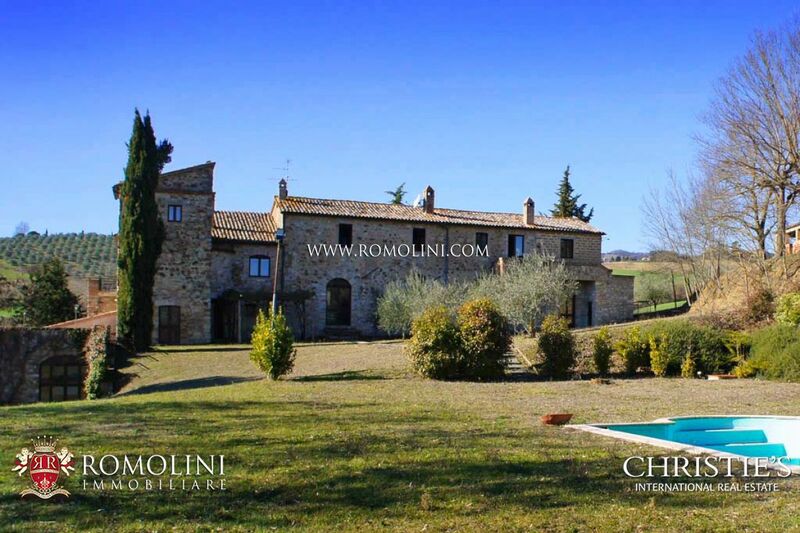 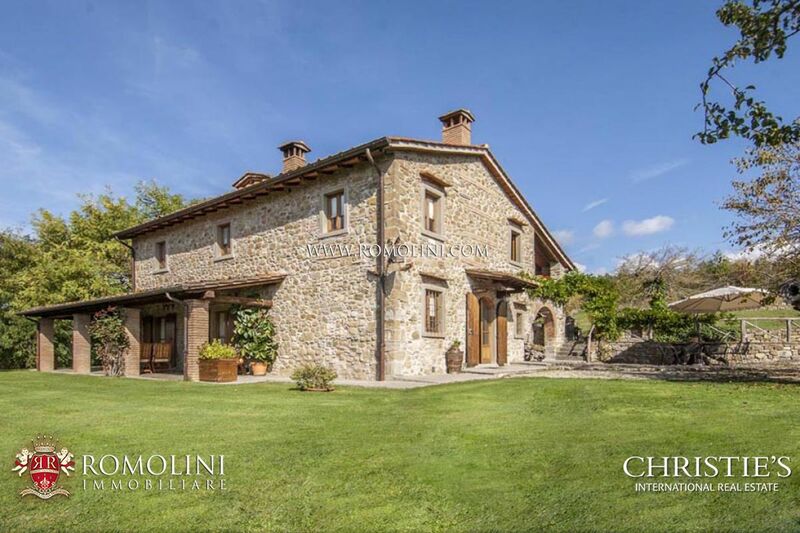 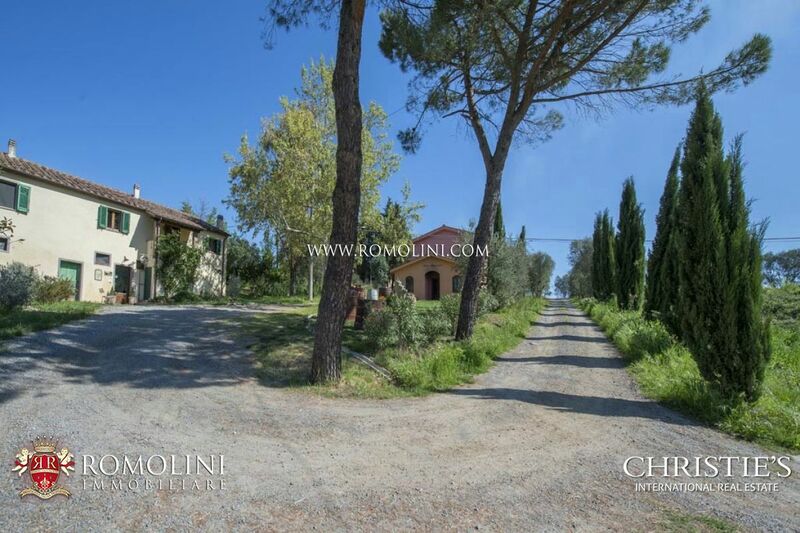 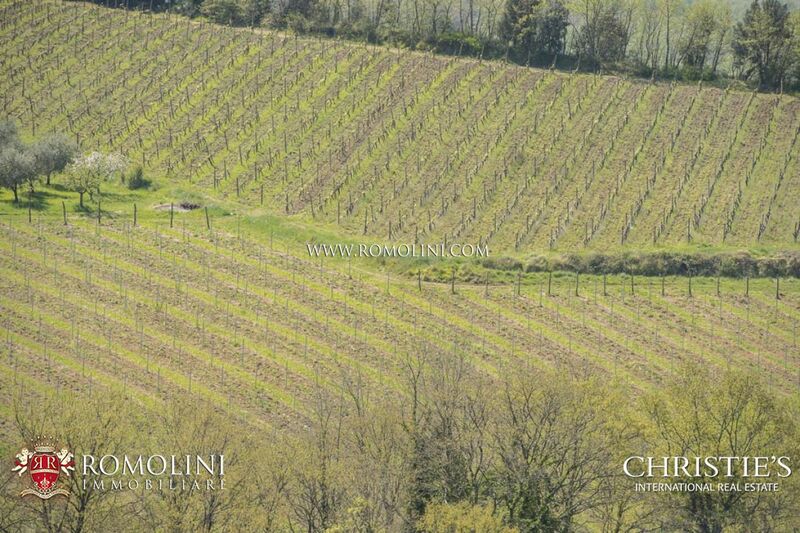 Surrounded by a lush parkland with swimming pool, this organic and biodynamic farm is completed by 10.4 hectares of private land, of which 5 hectares of vineyard Chianti DOCG, 0.9 of olive grove, 1.5 of woodland and 3 of marginal and uncultivated land. 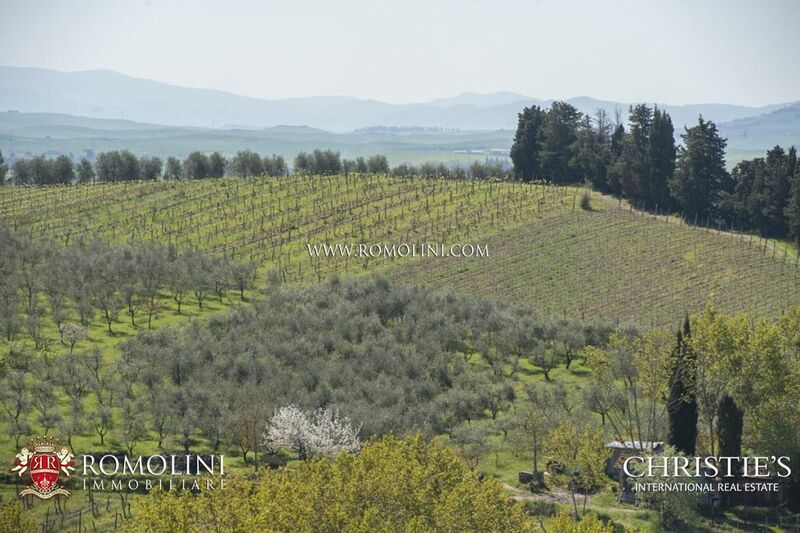 The olive grove is made up of 300 trees, mainly Leccino, Moraiolo and Frantoio. 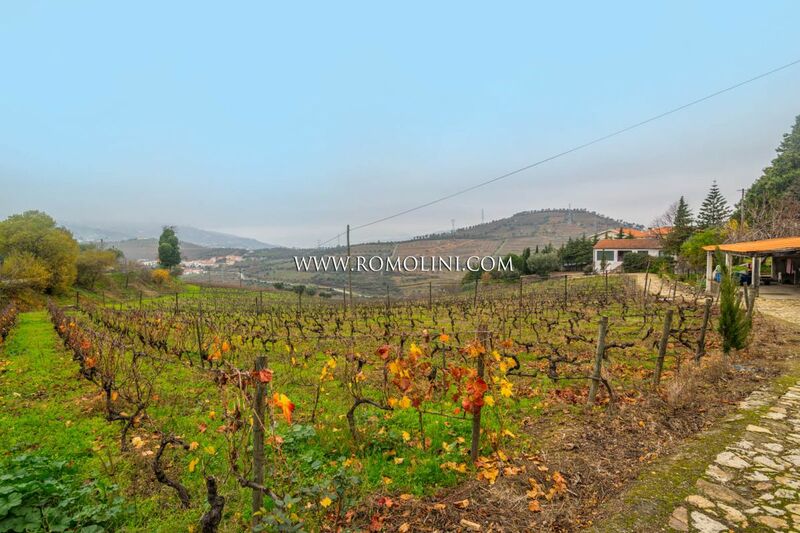 There is the possibility to purchase the adjacent olive grove of 2 hectares. 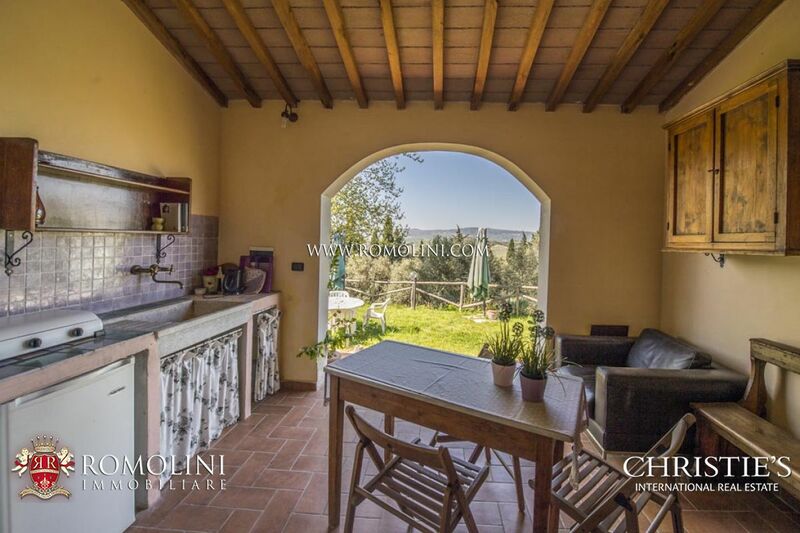 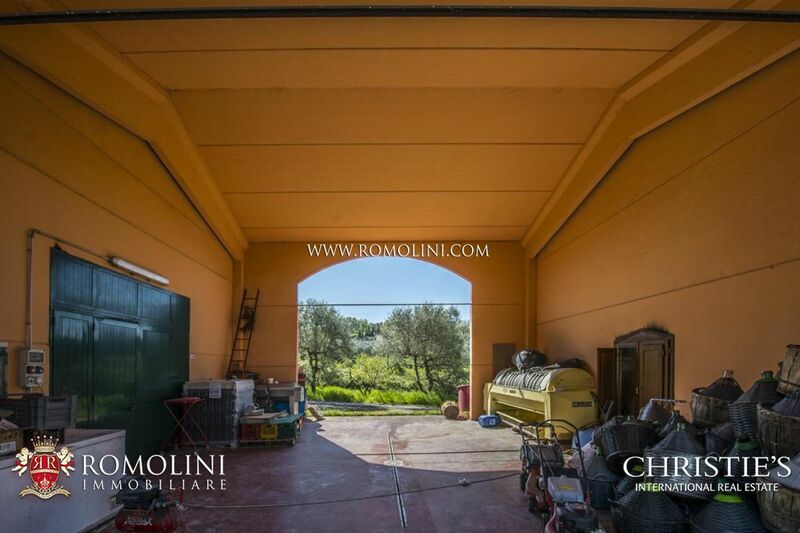 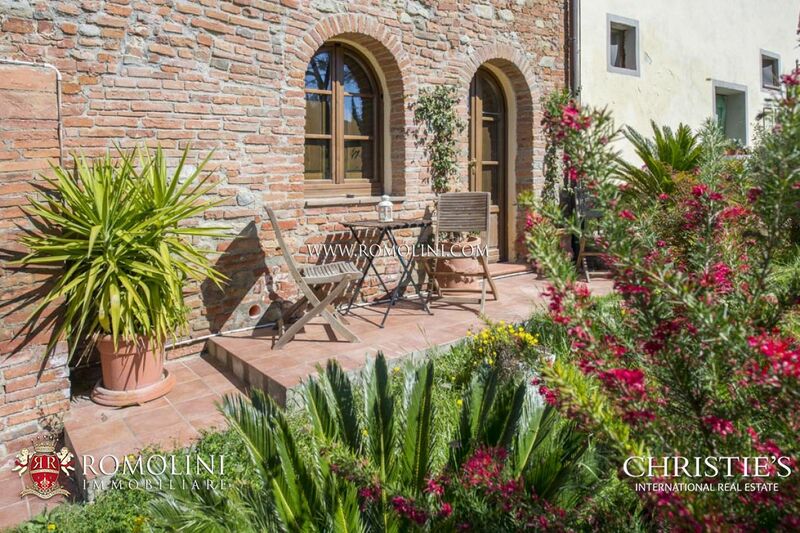 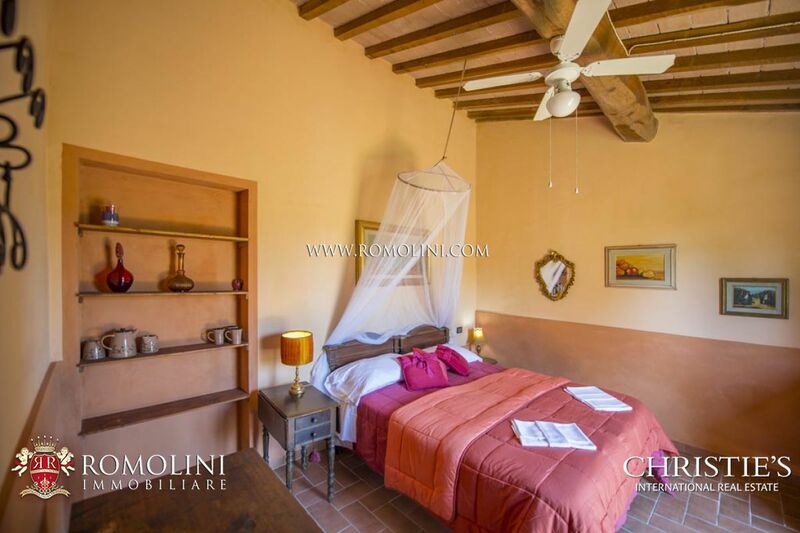 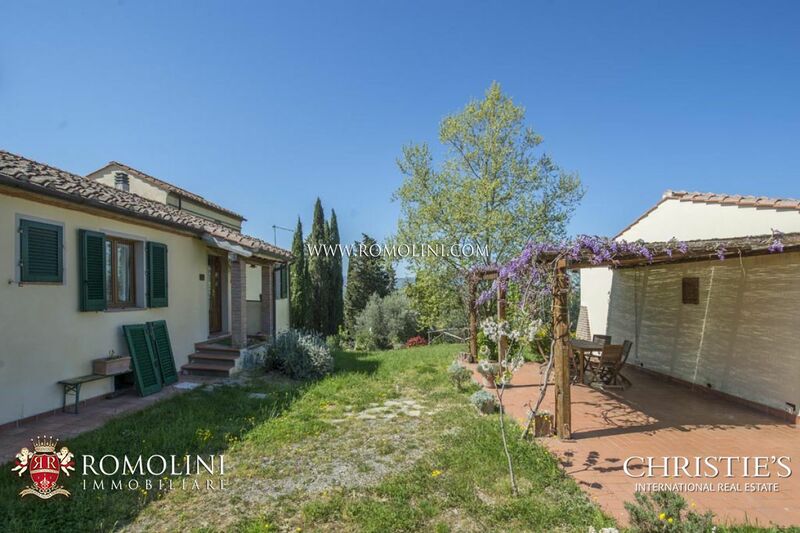 Ideal for those who are looking to purchase an organic and biodynamic working farm with wine and olive oil production, thanks to its layout and dimension, the complex is currently used as owners' dwelling and also as guest accommodation business.